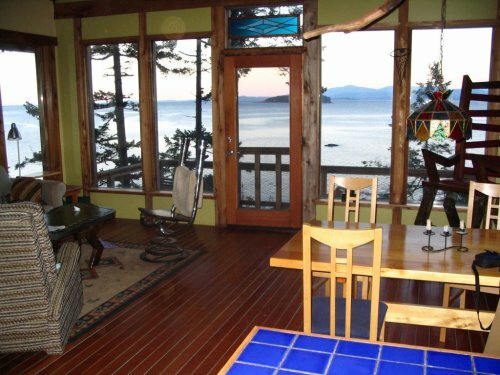 Sea Changes offers you the amenities of home, a beautiful and rugged beach, and an unsurpassed view! The home is an open concept design and the living, dining, and kitchen areas all have full access to the spectacular views. The flooring throughout the home is 110 year old restored fir. 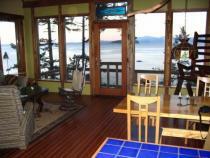 The main loft bedroom also has stunning ocean views and includes a queen bed. To book your stay, or inquire about availability, please contact us by email at lasqueti [at] yahoo [dot] ca.